The history of wearable technology dates back to the year 2002, where it gained popularity with the introduction of Bluetooth headsets. Then came the futuristic wearable technology devices like Fitbit, Nike+ and Google Glass from 2006 to 2013. Finally, the media crowned 2014 as the “Year of Wearable Technology” and in 2015 the very first series of the glorious Apple Watch was launched. In the subsequent years, the industry saw tremendous commercialization of wearable technologies. In 2018, the number of smartwatch units sold reached 141 million. This rapid growth pace of wearable apps is expected to spill to the next few years with the revenue forecast from wearable device sales to reach an astonishing $73.27 billion by 2022. Globally the mobile health or mHealth industry is expected to generate the second largest share of revenue by 2020, reaching $46 billion. Today, the core of wearable technology evolution lies in wearable health tech, which is becoming more and more ubiquitous with consumers demanding a more accessible and quicker way to reach their medical health professionals. How Wearable Apps are Revolutionizing the Healthcare Industry? The use of wearable technology while performing surgeries cannot go without mentioning the incredible Google Glasses. Pierre Theodore, the famous cardiothoracic surgeon, who performed the first ever approved surgery using Google glasses, backs wearable technology with his surgical experience. For physicians like Theodore, who need to maintain constant attention and accuracy while performing surgeries, healthcare applications for devices like Google Glasses have a huge business market. Teaming AI with patient data creates a reliable digital health assistant that supports the patients in their healthcare journey. Apps like CarePassport provide the patients with the facilities to maintain a record of their medical data from different physicians, such as lab results, medical images, clinical reports, dental records etc. and access them when required in an organized way. These mHealth applications have simplified the lives of individuals in the most fundamental way ever. 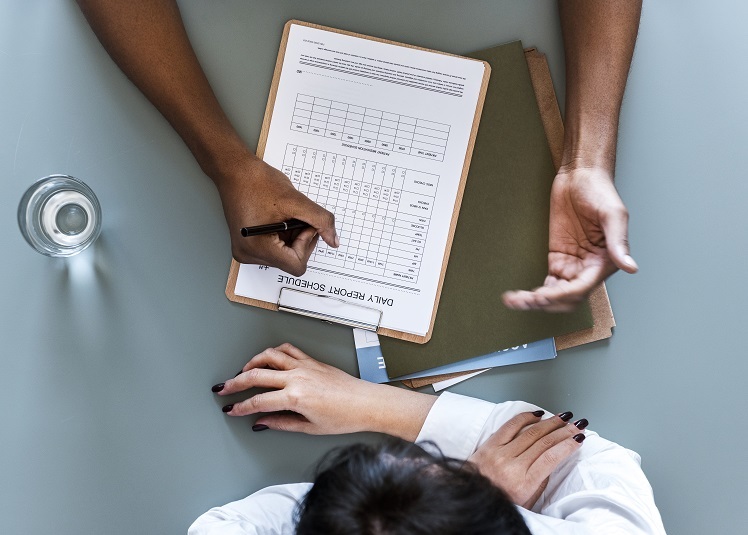 When wearable apps are combined with clinical records and patient’s health insights, personalized data-driven healthcare is readily achievable. mHealthcare apps make it possible to monitor each patient’s changing vitals such as blood pressure, pulse rate, heart rate, sleep rate, breathing patterns, calories consumption etc. This helps the physicians to provide bespoke and accurate guidance based on real-time patient data. The data generated from the wearable apps provide information about patients such as behavior, heart rhythm, blood glucose levels, blood pressure, sleeping patterns, breathing patterns etc. can empower researchers to work on general clinical trials. This collected data can be used for investigating experimental drugs or medical equipment to improve patient’s lives. 2019 sees the wave of more advanced smartwatches that can completely obliterate the need for smartphones. The processing of information in the smartwatches is expected to become more organized and intuitive. With IoT traversing in major industries including healthcare, the smartwatches will become more intelligent by becoming the centralized point from where other devices could be monitored and controlled. Another wearable apps trend that will be gaining popularity this year is the navigation feature. Wearables combined with real-time location tracking can become the most sought after technology of this decade. 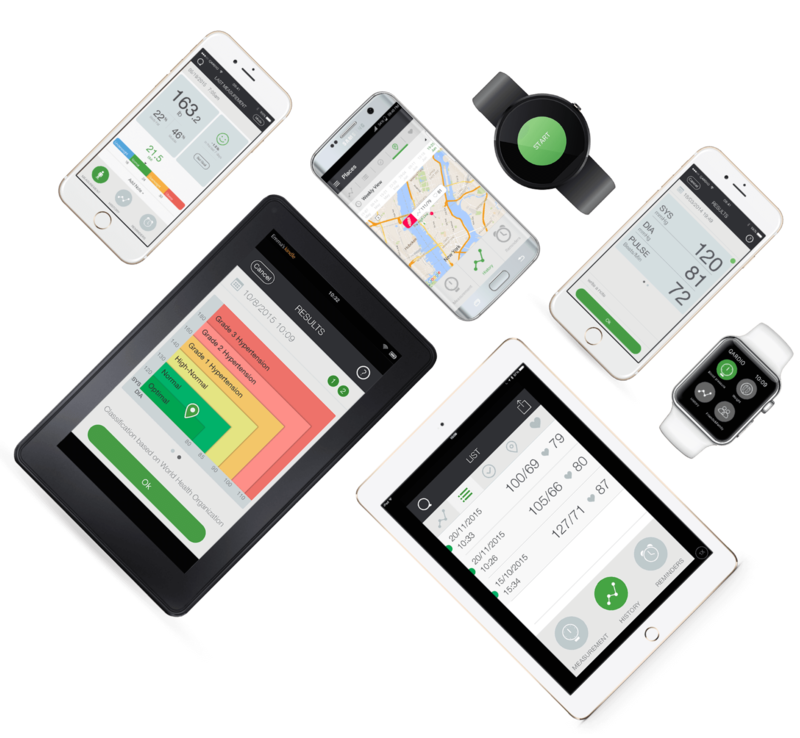 Gathering the data from wearable devices having gyroscopes, motion tracker, compasses, and accelerometers can enable wearable apps to determine factors like speed, distance, cadence, calories burnt etc. IoT driven wearable apps are gradually gaining popularity in the healthcare sector. Innovations like installing wearable IoT in wheelchairs, hearing aids, artificial limbs, and other devices are emerging as top wearable trends this year. Tech experts are looking to develop apps for wearable devices like Zephyr Anywhere’s BioPatch, which uses IoT technology to deliver real-time data in the form of alerts to their doctor’s watches or smartphones. 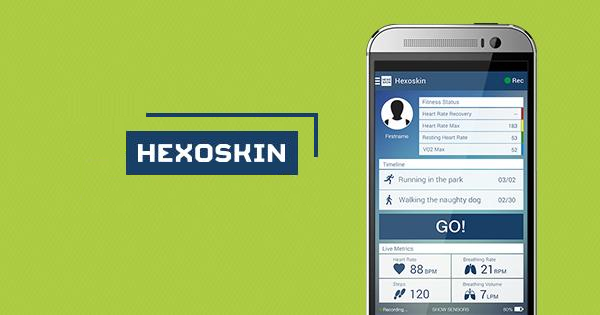 Hexoskin app allows users to record complex metrics like ECG, (electrocardiogram), heart rate variability (HRV), breathing activity, VO2max, heart rate recovery and sleep efficiency. It also backs up your recorded data for future references, for free. 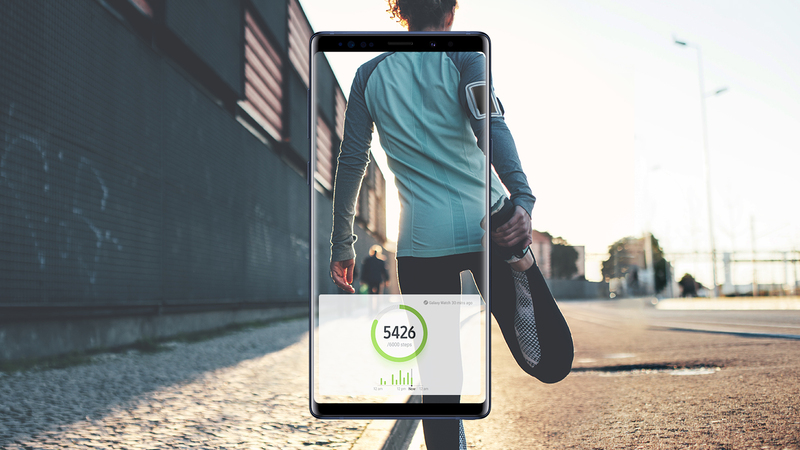 The core features of Samsung Health App are to maintain a record and analyze the daily user activities and habits and suggest a nutritious diet and a healthy lifestyle. 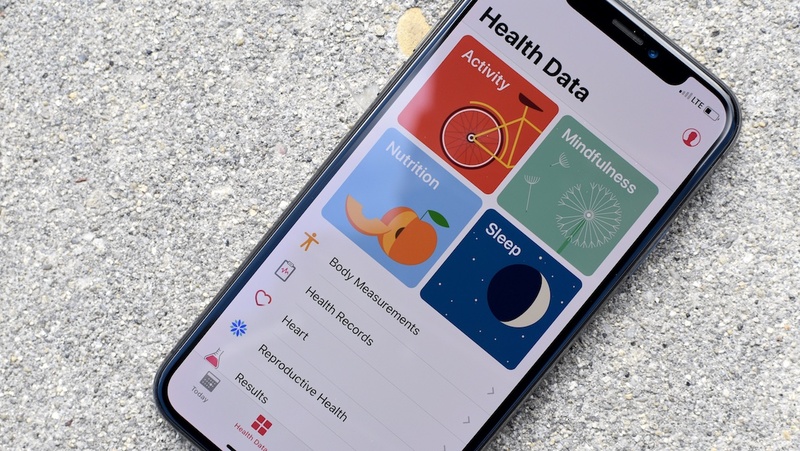 The Health app by Apple is divided into four categories namely sleep, mindfulness, activity, and Nutrition. Each category helps you follow a healthy regime depending on your body requirements. It has been featured as one of the best medical apps in the App Store. It has features to monitor your heart health and integrates with other apps to store your data securely. It also enables users to share their heart health updates with family and friends. If you are from the health industry and envision a productive and healthier lifestyle for everyone, a wearable healthcare app can help you realize your vision. 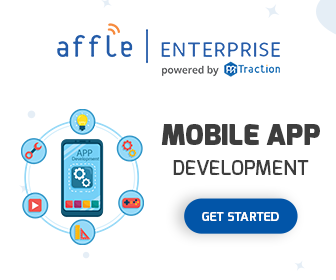 Get in touch with expert mobile app developers today!